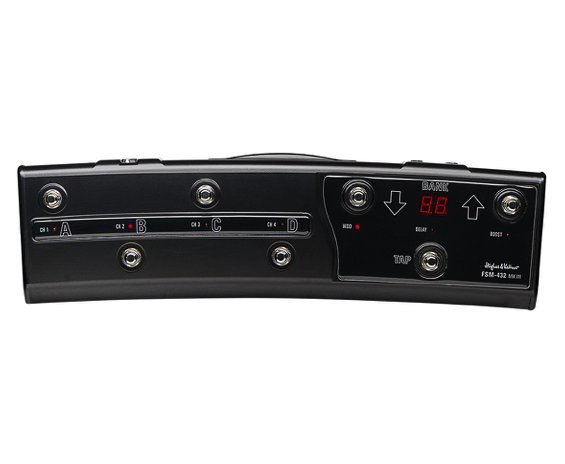 The all new MIDI board FSM 432 MK III does not only serve to select presets. The stomp box mode allows you to switch channels directly, and to activate modulation effects, delay and boost independently. It also offers two 1/4" jack inputs to connect expression pedals or single footswitches. Both inputs are freely assignable to remote control any pot and switch of the GrandMeister 36 in realtime.